Teen Video Contest: Heads Up! – Drive. Focus. Live. 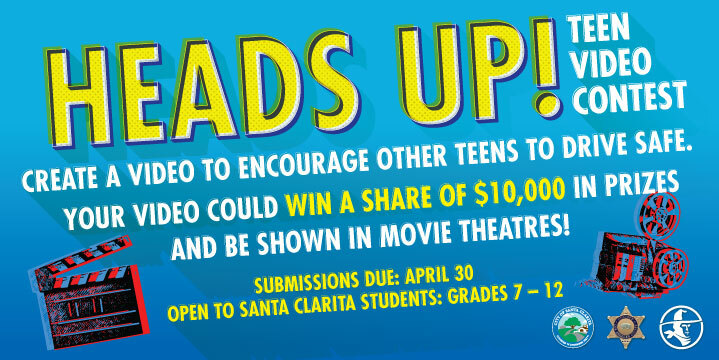 Teen Video Contest: Heads Up! 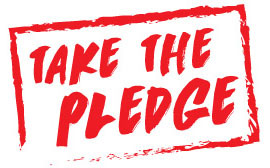 CREATE A VIDEO TO ENCOURAGE OTHER TEENS TO DRIVE SAFE. YOUR VIDEO COULD WIN A SHARE OF $10,000 IN PRIZES AND BE SHOWN IN MOVIE THEATRES! We’re looking for the best creative and engaging Public Service Announcement video that will inspire Santa Clarita teens to drive distraction-free and keep our roads safe. Learning to drive for teens can be a life-changing experience, but not always in the best way. Reckless driving can lead to deadly accidents. You have the power to inspire your fellow teens, better than a teacher or a parent can, because you know what messages will be the most impactful. Create a 30-60 second video for your fellow teen drivers that highlights the importance of safe teen driving. 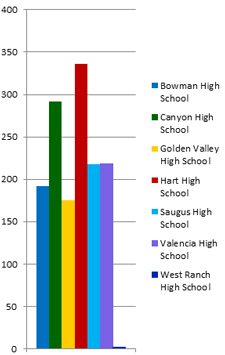 Contest is only open to Santa Clarita Valley Middle and High School students.